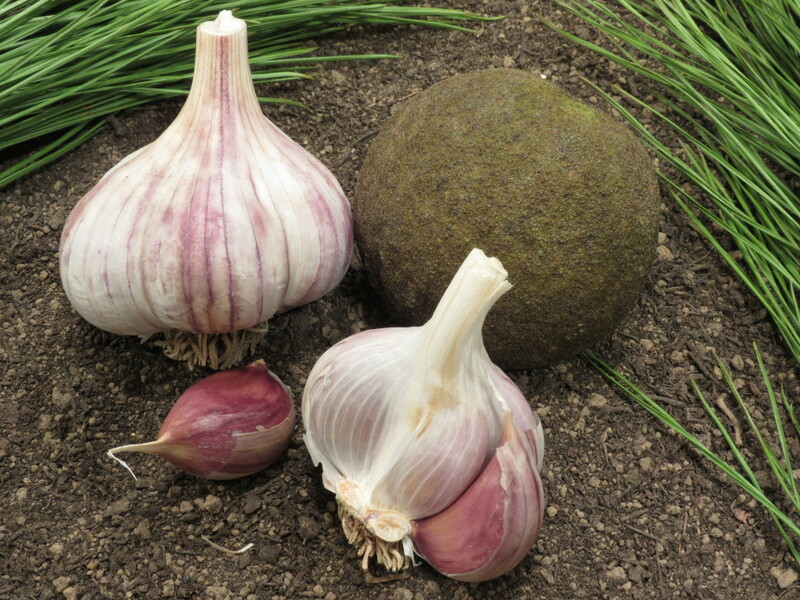 Growing good garlic starts with good soil. We are serious about the preparation and content of our soil. Our garlic field is rotated every 3 years. For 2 years we grew green manure and legumes to improve the soil quality, structure, and organic matter. Rich soil and proper rotation decreases the soil born diseases and reduces unnecessary fertilization. Our annual load of garden compost for garlic field and our garden (45 cubic yards). Making and reshaping raised beds with our Superbeder. 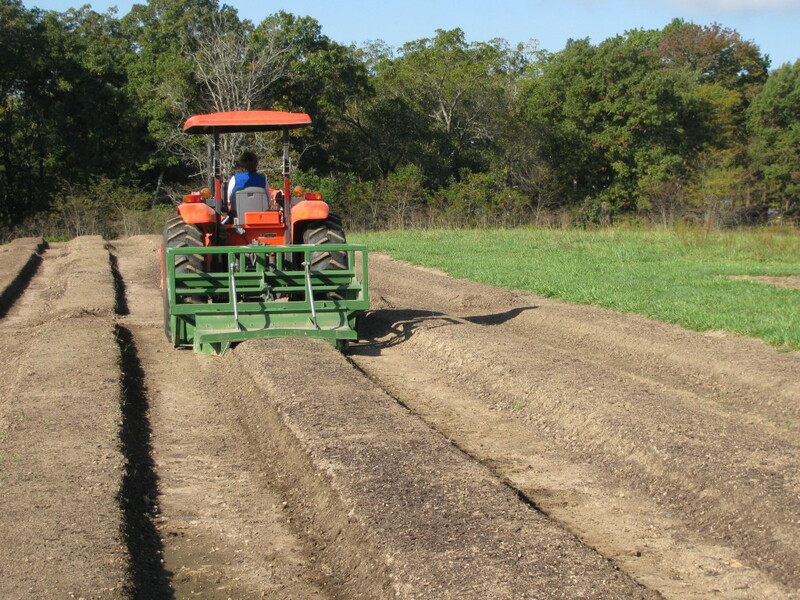 We plant our garlic in the raised beds, when the ground temperature drops below 48F (9C) to prevent Fusarium. 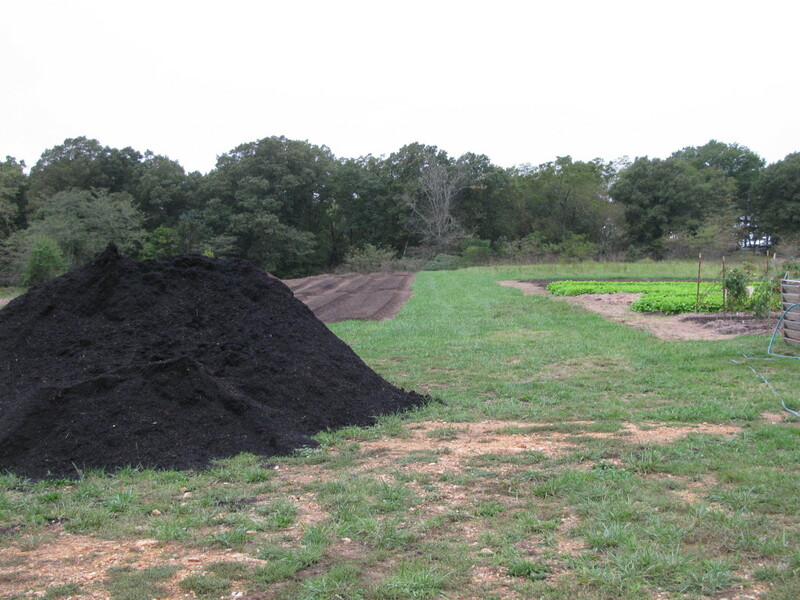 We then spread a thin layer of organic compost (from turkey farm) and top it off with a good layer of garden compost (black gold). Finally, to ensure that the garlic seed will have good contact with the soil, we press down the tops of the beds with our Superbeder. Once the garlic is planted we cover our beds with straw to suppress the potential for weeds, control soil temperature, and conserve moisture. In the spring we fertilize with Fish emulsion to promote improved leaf growth. WE NEVER USE SYNTHETIC FERTILIZER. PERIOD. We start removing scapes from the hardhecks when the umbels start forming. We always leave a few scapes on every strain as a harvest indicator. When the scapes begin to uncurl and the garlic has five succulent leaves left, it’s time to harvest. 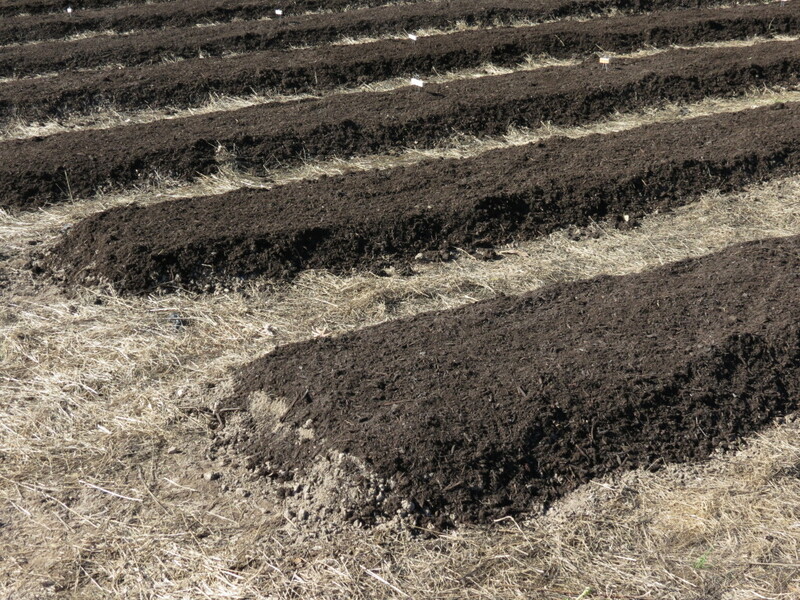 Softnecks are harvested when half of the plants are lying on the ground. Once the garlic is out of the ground we bundle and hang them for 3 to 5 weeks to dry (Humidity may effect length of time). Since Softnecks are multi-layered they typically take longer to dry. Then we remove the tops, roots and store them in our cellar.